Photivo handles your RAW files as well as your bitmap files in a non-destructive 16 bit processing pipe with Gimp workflow integration and batch mode. This application's goal is to offer the best algorithms available, although this might imply some redundancy. 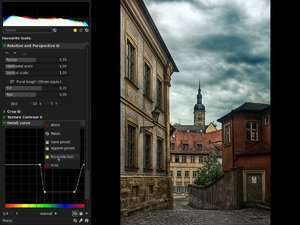 The app provides flexible and powerful denoise, sharpen and local contrast (fake HDR) algorithms. For security reasons, you should also check out the Photivo download at LO4D.com which includes virus and malware tests. Additional screenshots of this application download may be available, too. Photivo download been highly rated by our users.